You’ve had your tummy tuck surgery and by now you’re resting comfortably at home. While you’re probably still taking a good amount of pain medication and waiting anxiously to take the first post-op shower, I promise the next few weeks are going to go by quickly and the pain from surgery day will soon become a distant memory. Here’s what you can expect as a tummy tuck recovery timeline. You've had your tummy tuck surgery and by now you're resting comfortably at home. While you're probably still taking a good amount of pain medication and waiting anxiously to take the first post-op shower, I promise the next few weeks are going to go by quickly and the pain from surgery day will soon become a distant memory. 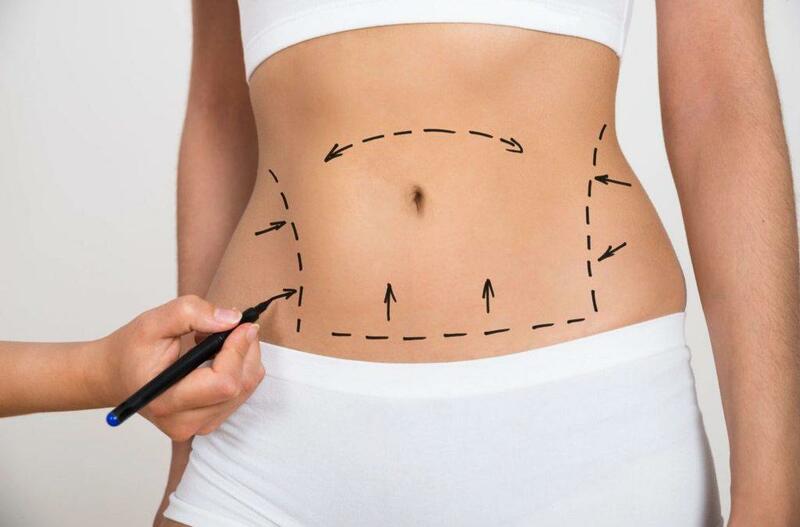 Here's what you can expect as a tummy tuck recovery timeline. It's now day 3 or day 4 post-op and by now you should be feeling considerably better. At this time, if your recovery is going well, your doctor may approve a sponge bath. Yay! This is an instant pick me up and will make you feel amazing, emotionally and physically. Keep in mind though, there will still be certain areas of your trunk you cannot get wet if you had liposuction in conjunction with your abdominoplasty. If you have a bit of a tummy ache around this time, it's most likely due to the medication. The medications you are on will cause constipation, so if you haven’t had a bowel movement by now I highly suggest getting some Milk of Magnesium. Just be careful how much you take. Be patient, and go slow with the M.O.M. If you're feeling up to it, you may be able to wean yourself off the OxyCodone at this time to help alleviate the constipation issues. Just speak with your doctor first on which over the counter medication is best to use. In my case, it was recommended that I take Extra Strength Tylenol every two hours in lieu of the OxyCodone. As you become more mobile, you may notice that your back hurts when you stand or walk. This is totally normal. Walking in a flexed position uses your muscles in an unnatural way so you'll want to be sure to continue taking your muscle relaxers. And, as tight as your abdomen is, you will want to try to begin walking as upright as you can. It will be tough, but the sooner you walk upright, the sooner your back pain will go away. At one-week post-op, you should be feeling almost 100% back to normal. This is the day I began cooking small meals for myself and I even chipped in on our family puzzle. I sat at my desk for a bit and answered a few more emails, and I started helping our twins get prepared for their NLCC event next weekend, the Camarillo Air Show. I'm standing at about 95% vertical, just hunching over slightly, with a goal to be standing 100% by the weekend of the airshow. At my one-week follow-up appointment, Dr. Reagan removed the bandages from my back that covered the areas where I had liposuction of the back and flanks. And you know what that meant? I could take a SHOWER! A word of warning though, once the bandages are removed your back will be itchy. My first thought was that it was the stitches in the in my back where I had liposuction, but it’s not. Instead, it’s the residual glue from the bandages. If your back itches as much as mine did, my recommendation to you is to go home, take a shower, with help of course, and find someone who finds comfort in peeling things. For me, it was our 5-year-old daughter who loves to put glue on her hand and peel it off. Picking glue off my back was the perfect project for her, and once all the glue was removed from my back, the itching stopped. We also changed up my medication again at the one-week follow-up appointment, switching from Tylenol to Motrin, because Tylenol can be hard on the liver. As soon as your doctor recommends it, get 2-3 sets of Spanx! They’re like a warm marshmallow giving you a big hug that comforts you in all the right places. I was in mine the day after the 1-week appointment and it was heavenly! If you plan on ordering your Spanx online, I recommend ordering them from a store they’re easy to return to if you order the wrong size. Also, order a size larger than you think you’ll need. Save the smaller size for after your swelling goes down. Your doctor will also recommend you begin using a product called Silagen on your tummy tuck scar. This product is available at CosmetiCare and is designed to help refine and minimize your scar. I highly recommend this as well. I've been using Silagen for around a month now my scar is looking better and better every day. After the first week, your days will continue to improve as you become more and more mobile. I highly suggest getting out of the house as often as you can as the fresh air and a little socialization will lift your spirits, helping you heal not just physically but emotionally as well. At the Camarillo Air Show, just two and a half weeks post-op, we walked over 15,000 steps and over five miles each day of the airshow and it felt amazing. Plus, watching our cadets keep the public safe and out of the air show's flight path brought a much-needed smile to my face. Before having surgery, the one thing I didn't realize was the emotional impact having lipoabdonimalplasty would have on me. I went from hating clothes shopping and feeling depressed every time I needed to purchase something new, stressing and worrying about how the clothes would fit, to being able to happily purchase clothes without second guessing every garment I picked up. It’s a really amazing feeling! Here I am at my one-month follow-up, and as you can see. Dr. Reagan and I are both extremely pleased with my lipoabdonimalplasty results and tummy tuck recovery. In this video, Dr. Reagan also shares the six things a doctor has to do to get an awesome tummy tuck result.